This is a result of a lot of trial and error, reading, notes taken, advice from more knowledgeable people than myself over a period of a few months in my spare time. This is the basis of a web site I’m writing for a new business endeavour. ExpressJS Version 3.1 I talked to quite a few people on the #Node.js IRC channel and the preference in most cases was Express. I took notes around the web frameworks, but as there were not that many good contenders, and I hadn’t thought about pushing this to a blog post at the time, I’ve pretty much just got a decision here. At this stage I worked out that I don’t really need a server side MV* framework, as Express.js routes are near enough to controllers. My mind may change on this further down the track, if and when it does, I’ll re-evaluate. jade Version 0.28.2, but reasonably mature and stable. 2.5 years old. A handful of active contributors headed by Chuk Holoway. Plenty of support on the net. NPM: 4696 downloads in the last day, 54 739 downloads in the last week, 233 570 downloads in the last month (as of 2013-04-01). Documentation: Excellent. The default view engine when running the express binary without specifying the desired view engine. Discussion on LinkedIn. Discussed in the Learning Node book. Easy to read and intuitive. Encourages you down the path of keeping your logic out of the view. The documentation is found here and you can test it out here. handlebars Version 1.0.10 A handful of active contributors. NPM: 191 downloads in the last day, 15 657 downloads in the last week, 72 174 downloads in the last month (as of 2013-04-01). Documentation: Excellent: nettuts. Also discussed in Nicholas C. Zakas’s book under Chapter 5 “Loose Coupling of UI Layers”. mu (Mustache template engine for Node.js) NPM: 0 downloads in the last day, 46 downloads in the last week, 161 downloads in the last month (as of 2013-04-01). less (CSS3 extension and (preprocessor) compilation to CSS3) Version 1.4.0 Beta. A couple of solid committers plus many others. runs on both server-side and client-side. NPM: 269 downloads in the last day, 16 688 downloads in the last week, 74 992 downloads in the last month (as of 2013-04-01). Documentation: Excellent. Wiki. Introduction. stylus (CSS3 extension and (preprocessor) compilation to CSS3) Worked on since 2010-12. Written by the Chuk Holoway (BDFL) that created Express, Connect, Jade and many more. NPM: 282 downloads in the last day, 16 284 downloads in the last week, 74 500 downloads in the last month (as of 2013-04-01). rework (processor) Version 0.13.2. Worked on since 2012-08. Written by the Chuk Holoway (BDFL) that created Express, Connect, Jade and many more. NPM: 77 downloads in the last week, 383 downloads in the last month (as of 2013-04-01). As explained and recommended by mikeal from #Node.js its basically a library for building something like stylus and less, but you can turn on the features you need and add them easily. No new syntax to learn. Just CSS syntax, enables removal of prefixes and provides variables. Basically I think the idea is that rework is going to use the likes of less, stylus, sass, etc as plugins. So by using rework you get what you need (extensibility) and nothing more. There are a good number of offerings here to help guide the designer in creating styles that work with the medium they are displayed on (leveraging media queries). Bootstrap also offers a grid system. Additional documentation here. There are a few modules here that will keep your node process running and restart it if it dies or gets into a faulted state. forever seems to be one of the best options. forever usage. deoxxa’s jesus seems to be a reasonable option also, ningu from #Node.js is using it as forever was broken for a bit due to problems with lazy. I’ve been looking at reverse proxies to forward requests to different process’s on the same machine based on different domain names and cname prefixes. At this stage the picks have been node-http-proxy and NGinx. node-http-proxy looks perfect for what I’m trying to do. It’s always worth chatting to the hoards of developers on #Node.js for personal experience. If using Express, you’ll need to enable the ‘trust proxy’ setting. I decided to add less after I had created my project and structure with the express executable. Update my package.json in the projects root directory by adding the following line to the dependencies object. Usually you’d specify the version, so that when you update in the future, npm will see that you want to stay on a particular version, this way npm won’t update a particular version and potentially break your app. By using the “*” npm will download the latest package. So now I just copy the version of the less-middleware and replace the “*”. npm WARN package.json my-apps-name@0.0.1 No README.md file found! So you can see that less-middleware pulls in less as well. Now you need to require your new middleware and tell express to use it. Add the following to your app.js in your root directory. and within your function that you pass to app.configure, add the following. // If you want a different location for your destination style sheets, uncomment the next two lines. // force true recompiles on every request... not the best for production, but fine in debug while working through changes. Uncomment to activate. Now you can just rename your css files to .less and less will compile to css for you. Generally you’ll want to exclude the compiled styles (.css) from your source control. The middleware is made to watch for any requests for a .css file and check if there is a corresponding .less file. If there is a less file it checks to see if it has been modified. To prevent re-parsing when not needed, the .less file is only reprocessed when changes have been made or there isn’t a matching .css file. Twitters Bootstap is also really helpful for getting up and running and comes with allot of helpful components and ideas to get you kick started. As I decided to use the Node Jade templating engine, Bootstrap-for-Jade also came in useful for getting started with ideas and helping me work out how things could fit together. In saying that, I came across some problems. I found a fix and submitted a pull request. Details here. As part of my journey with Node.js I decided I wanted to see exactly what was happening on the wire. I decided to use Burp Suite as the Http proxy interceptor and Wireshark as the network sniffer (not an interceptor). Wireshark can’t alter the traffic, it can’t decrypt SSL traffic unless the encryption key can be provided and Wireshark is compiled against GnuTLS. This post is targeted at getting Wireshark running on Linux. If you’re a windows user, you can check out the Windows notes here. This will work, but of course it’s not a good idea to run a comprehensive tool like Wireshark (over 1’500’000 lines of code) as root. So what’s actually happening here? We have dumpcap and we have wireshark. dumpcap is the executable responsible for the low level data capture of your network interface. wireshark uses dumpcap. Dumpcap needs to run as root, wireshark does not need to run as root because it has Privilege Separation. If you look at the above suggested “better way” here, this will make a “little” more sense. In order for it to make quite a lot more sense, I’ll share what I’ve just learnt. Wireshark has implemented Privilege Separation which means that the Wireshark GUI (or the tshark CLI) can run as a normal user while the dumpcap capture utility runs as root. Why can’t this just work out of the box? Well there is a discussion here on that. It doesn’t appear to be resolved yet. Personally I don’t think that anybody wanting to use wireshark should have to learn all these intricacies to “just use it”. As the speed of development gets faster, we just don’t have time to learn everything. Although on the other hand, a little understanding of what’s actually happening under the covers can help in more ways than one. Anyway, enough ranting. If the Linux Filesystem Capabilities are not present at the time of installing wireshark-common (Debian GNU/kFreeBSD, Debian GNU/Hurd), the installer will fall back to set the set-user-id bit to allow non-root users to capture packets. Custom built kernels may lack Linux Capabilities. You will then have to manually add your user to the wireshark group. log out then back in again. The following will confirm the capabilities you just set. For sniffing we need two of the capabilities listed in the capabilities man page. CAP_NET_ADMIN Perform various network-related operations (e.g., setting privileged socket options, enabling multicasting, interface configuration, modifying routing tables). This allows dumpcap to set interfaces to promiscuous mode. CAP_NET_RAW Use RAW and PACKET sockets. Gives dumpcap raw access to an interface. For further details check out Jeremy Stretch’s explanation on Linux Filesystem Capabilities and using setcap. There’s also some more info covering the “eip” in point 2 here and the following section. man capabilities | grep -A24 "File Capabilities"
Now that you’ve done the above steps including the log off/on, you should be able to run wireshark as your usual user and configure your listening interfaces and start capturing packets. 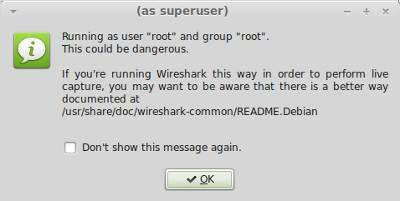 Also before we forget… Ensure Wireshark works only from root and from a user in the “wireshark” group. You can add a temp user (command shown above). As part of my Node.js development I really wanted to see what was going over the wire from chromium-browser to my Node.js web apps. The Command string looks like the following. Setting up Burp Suite configuration details are found here. I’ve used Burp Suite before several times. Most notably to create my PowerOffUPSGuests library which I discuss here. In that usage I reverse engineered how the VMware vSphere client shuts down it’s guests and replicated the traffic in my library code. For a simple setup, it’s very easy to use. You can spend hours exploring Burps options and all the devious things you can use it for, but to get started it’s simple. Set it up to listen on localhost and port 3001 for this example. Now that we’ve got end to end comms, lets test the interceptor. Run burpsuite with the command I showed you above. Now you should see burps interceptor catch the request. On the Intercept tab, press the Forward button and curl should show a similar response to above. If you look at the History tab, you can select the message curl sent and also see the same Response that curl received. Now you can also set Burp to intercept the server responses too. In fact Burp is extremely configurable. You can also pass the messages to different components of Burp to process how ever you see fit. 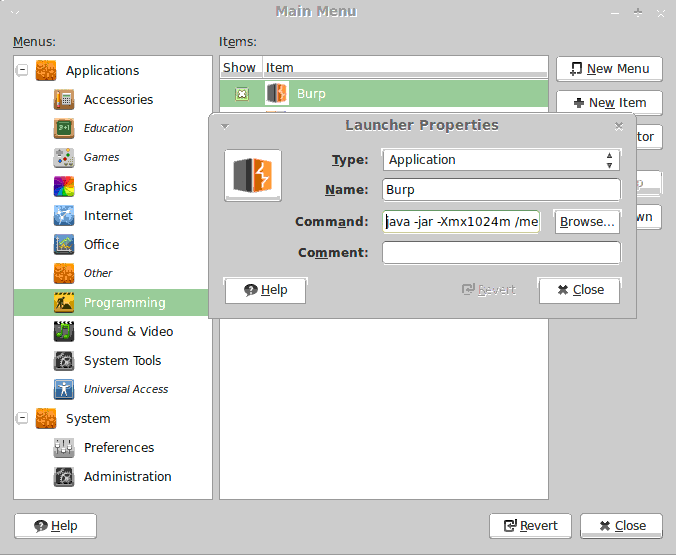 As you can see in the above image looking at all the tabs that represent burp tools. These can be very useful for penetration testing your app as you develop it. Now you can just browse to your web app and have burp intercept your requests.